This week’s installment of The Starlost (1973 – 1974), “The Return of Oro” is one of the short-lived series’ best episodes. For one thing the action is framed by one-time director Francis Chapman in such a way that several compositions are not just beautiful to behold, but actually memorable. This hasn’t frequently been the case on The Starlost, and much of the blocking/action has looked inept; like the directors had no sense of movement or space. The bad news is that Chapman didn’t direct any other segments of the series. He shows real chops here, as I hope some of the images I selected show-case. 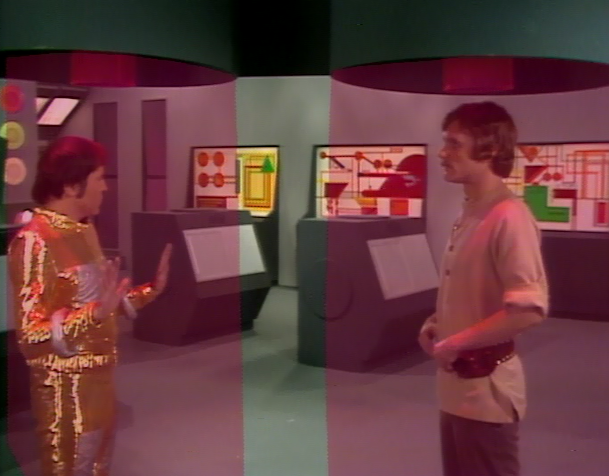 Secondly, this is one of the few episodes of The Starlost that -- as a direct sequel to “The Alien Oro” – can dispense with exposition and laborious introductions. No straw man society must be set up for the heroes to knock-down, for example. 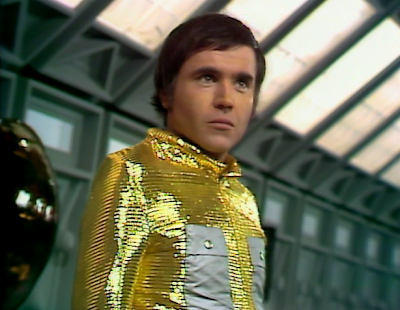 Instead, the episode gets right into the action, and into a dynamic battle of wills between Devon (Keir Dullea) and Oro (Walter Koenig). We already know each character well, and little time is wasted on false premises, blind alleys, or other distractions. The final battle, a weird contest of debating skills (judged by a robot, Tau Zeta…) actually generates a bit of tension. In “The Return of Oro,” Devon, Garth (Robin Ward) and Rachel (Gay Rowan) learn that Oro has returned from his home world of Exar and assumed command of The Ark. With the Ark’s administrative robot, Tau Zeta (Patricia Moffatt) assisting him, Oro hopes to corral the Ark into Exar orbit. There, he promises, its denizens shall find a happy new home. But Devon is concerned, and with good reason. He learns that Oro has been lying about conditions on Exar, and that the aliens actually intend to salvage and cannibalize the Earth Ship Ark for their own purposes. Desperate to escape the impending collision with a Class G “solar star” (!) and live a normal life on a planetary surface, Garth and Rachel aren’t certain if Oro is on the up-and-up or not. But Rachel watches as Oro is exposed during the “intellectual” debate against Devon. Oro loses the contest and agrees to return home to Exar, but the Exar-ians destroy his ship, leaving him stranded -- as an agent of chaos -- aboard the Ark. 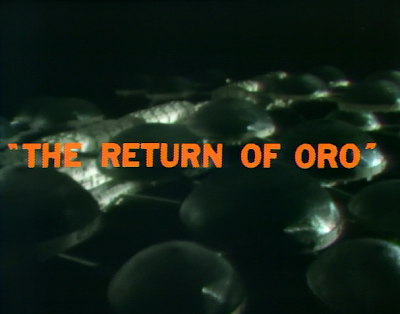 The episode ends with Oro declared a fugitive on the Ark, as he heads down a long hall-way and smirks. No doubt, the intent was that the Man from Exar would return to make mischief. Had The Starlost gone a second season, however, I would have suggested a different route. 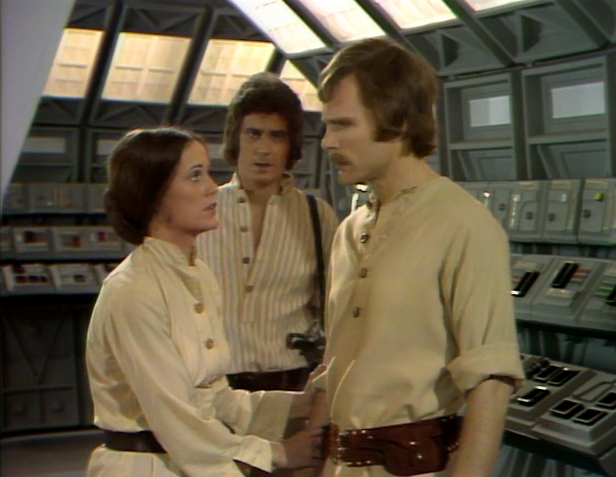 Oro should have been integrated into the cast as one of the protagonists, working with Devon, Garth and Rachel to find a suitable home for the Ark (and bringing peace to the biospheres…) after averting the collision course. Oro’s presence -- cunning and a bit anti-social -- would have played well against the idealism of Devon and the others on a weekly basis. As is par for the course with The Starlost, “The Return of Oro” is not without some problems. 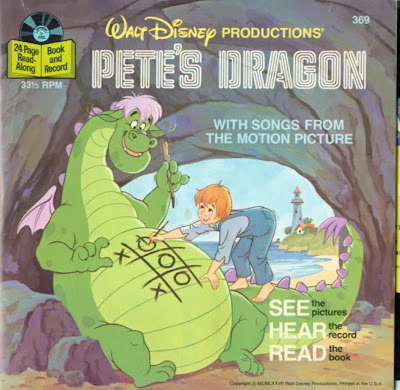 The episode introduces an annoying character named William (Henry Beckman), who has an unhealthy obsession with opening any and all doors around him, and who causes a lot of trouble. He’s an irritating presence, but not enough of one to ruin the entire episode. Secondly, we see yet another Ark Control Center this week, and one monitored by a robot (who resembles a giant vintage toy…) at that. 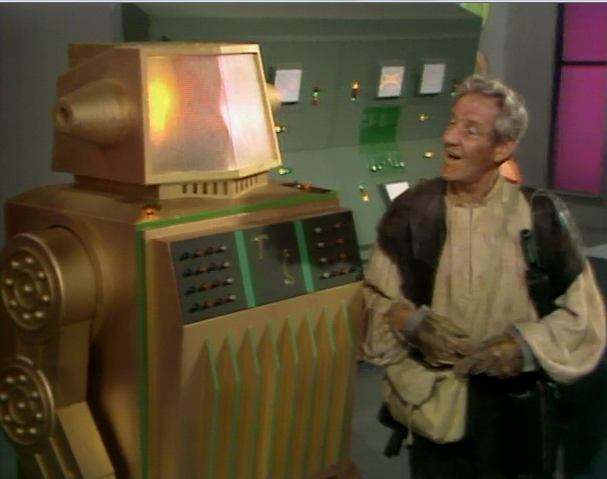 Yet this robot, Tau Zeta, is unable to act in the interest of the humans on the Ark and adjust the ship’s trajectory to avoid collision with the star. Why? Again, this element of the story just doesn’t make sense, and makes The Starlost nearly Gilligan’s Island-esque in its inanity. We’ve now met space pilots, engineers, super intelligent robots, computers, and aliens who could all make at least an attempt to change the Ark’s course…but don’t. If we leave behind this problem in believability, “The Return of Oro” works mainly as a contest between two very determined characters: Devon and Oro. Throughout the episode, they attempt to out-maneuver one another, and their dialogue is sharp, the performances crisp. It’s a shame that The Starlost was not a better series, one that could have taken advantage of Oro’s presence again and again over a period of seasons. In some parallel reality, perhaps, audiences celebrated the second feature film reunion, The Starlost II: The Wrath of Oro. But not in our universe. 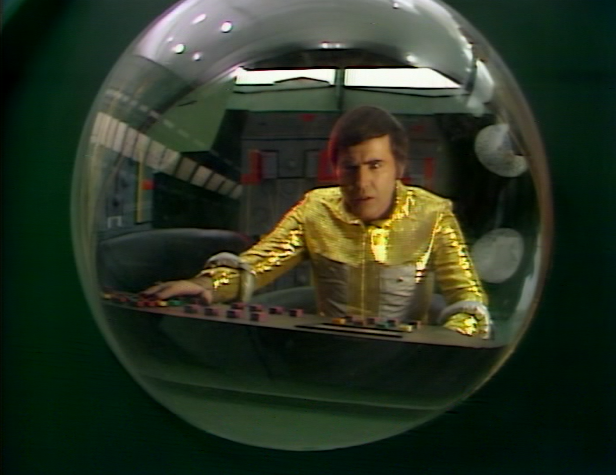 Instead we must be content with the fact that this episode of The Starlost is better than most…meaning it’s a relatively painless hour. John, well thought out review of "The Return Of Oro". I agree it was a good episode defining all the potential of Starlost as a series. 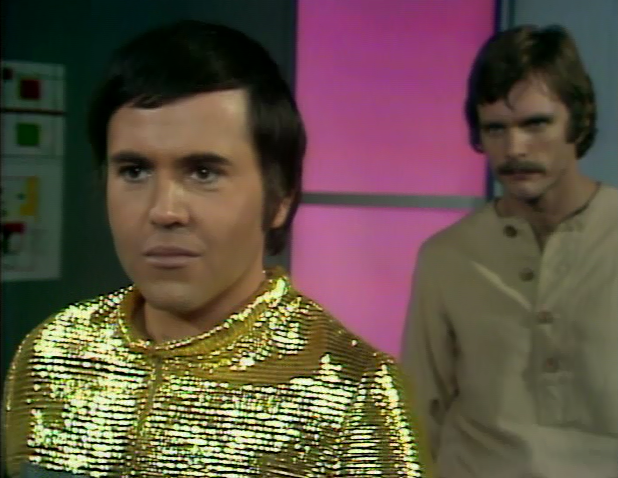 I agree, I think the series needed a regular protagonist in Oro (Walter Koenig). He would have been as Dr. Smith was in the first season of Lost In Space. I got a real laugh out of your "The Starlost nearly Gilligan’s Island-esque in its inanity" comment because it is absolutely true. I think if Starlost had a strong writer-producer at it's helm this would not have happened. How many fans of this how are out there. If I did a google search I think I would not come with very many. Sad, I really like the show.